Attendees of the 2016 WiSE Symposium participate in an interactive session. The University of Alabama’s Women in STEM initiative will host Empowering You: The Future of WISE, its fifth annual symposium, on Friday, March 3, and Saturday, March 4, on campus. The symposium is designed to provide an opportunity for researchers, academics and industry members from the Southeast to learn and share how to build leadership and career development skills for college women in STEM and to discuss ways to further increase the number of women in STEM initiatives. Keynote speaker for the symposium will be Dr. Mae C. Jemison, the first African-American woman in space and founder/president of The Jemison Group and BioSentient Corp. She will join several presenters from UA who will cover topics on career, education and lifestyle issues for women in STEM fields and careers. A reception to welcome attendees will be held at 5:30 p.m. Friday, March 3, at Bryant Museum. It will include activities, networking and refreshments, as well as a round-table discussion with Dr. Stuart Bell, president; Dr. Kevin Whitaker, provost; and Dr. Carl Pinkert, vice president for research. Saturday’s symposium will begin with registration and a continental breakfast at 7:30 a.m. in the Bryant Conference Center lobby. The day’s events will include speakers, working sessions, a poster presentation and door prizes. The WiSE symposium is free and open to all area women working or studying in a STEM discipline, as well as men who support women in STEM. Space is limited to 350 participants. The deadline to register and submit poster presentation abstracts for approval is Monday, Feb. 20. To register for the event and see a complete listing of speakers, activities and information, visit http://wise.ua.edu/2017-symposium.html. Free childcare will be available to all symposium attendees throughout the weekend’s events, courtesy of the UA Sitters for Service program. Care is available for children ages six months to 12 years. A request form for childcare is included with the symposium registration form. 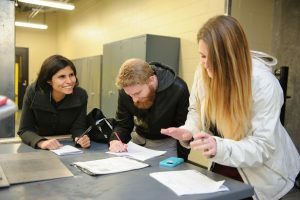 WiSE arose from UA’s Graduate School Tide Together initiative, which seeks to support women in STEM through mentorship and networking in hopes of narrowing the gender gap in STEM studies and careers. WiSE has become a stand-alone initiative with the support of multiple departments on campus. 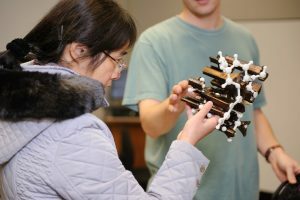 Through WiSE and Tide Together, women studying science and math-related fields are placed with both a graduate student and faculty mentor to help them develop skills in professionalism and in their field of study. UA is also a founding member of the National STEM Collaborative (http://stem.ua.edu/), a consortium of 12 higher education institutions and 15 nonprofit partners (https://cgest.asu.edu/collaborative) seeking to scale research-based best skills and knowledge, resources and practices on access, completion and workforce development for women of color in STEM. The 2017 WiSE Symposium is hosted by the University’s Office for Academic Affairs, College of Arts and Sciences, College of Continuing Studies, College of Engineering, Graduate School and Office of Vice President for Research and Economic Development. Dr. Viola Acoff, associate dean of the College of Engineering, and Han are co-coordinators for the symposium.